The Straits-born Chinese, also known as the Peranakans, are committed to perfection, not only in their food but also in their ensemble, from head – to toe, literally. 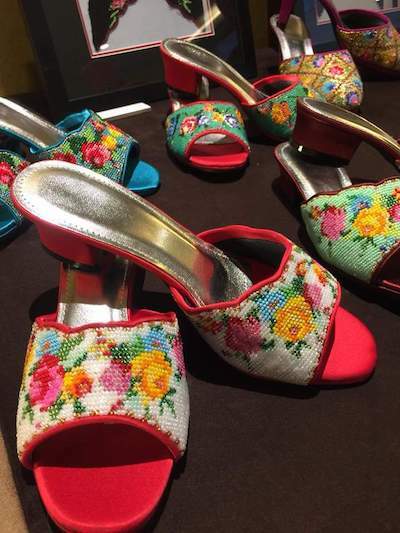 Emilia Ismail speaks to the founder of Penang Nyonya Culture Kenny Loh to find out more about the classic footwear that is solely the Peranakans. That's an unusual adjective for a shoe, but this shoe is rich in cultural values. Kasut manik (beaded shoe) is highly valued as it is an integral part of the Peranakan's culture and it is handsewn into delicate designs. 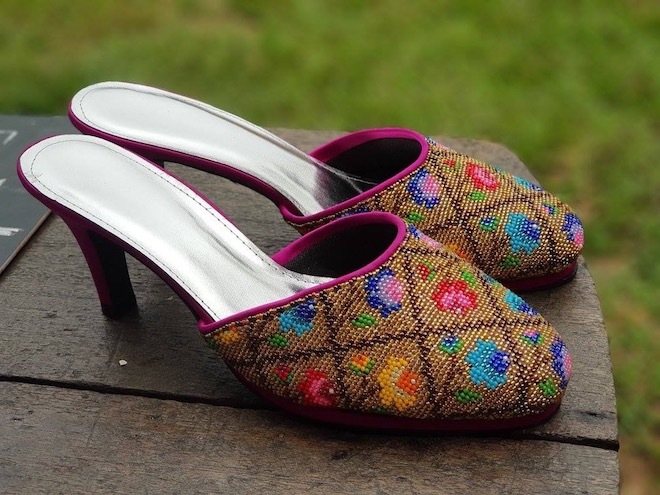 For a female Peranakan, also known as a Nyonya, a kebaya is incomplete without a pair of kasut manik. It is practical, elegant, and comfortable. There are two types of kasut manik; the kasut manik muka tutup (closed toe beaded shoes), kasut manik chakiak (Chinese wooden clog). Kenny Loh was sewing a pair of muka kasut (shoe cover) when I dropped by his booth in Hin Bus Depot Sunday Pop Up Market. 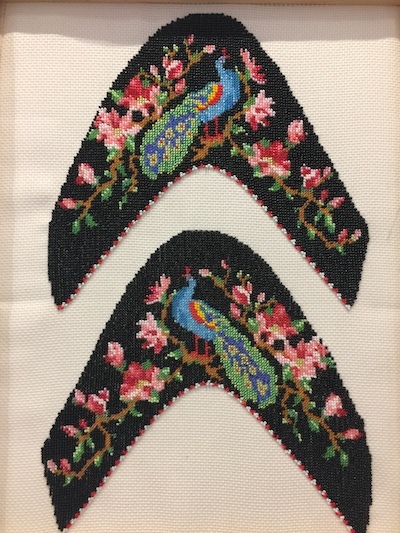 A muka kasut is typically made up of thousands of fine manik potong (rocaille beads) sewn into various designs such as phoenix, goldfish, bird, peacock, and flower, among others. Each design brings different meaning; the phoenix symbolises vigilance and strength, goldfish brings wealth, bird signifies longevity, peacock symbolises beauty, and flower signifies growth and prosperity. 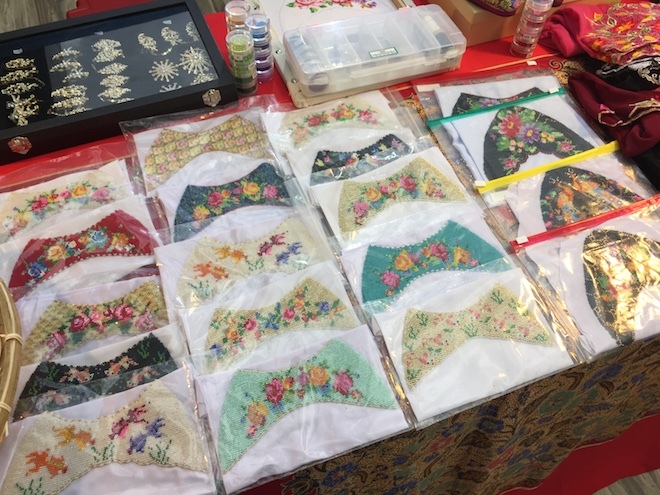 Loh is the founder of Penang Nyonya Culture which specialises in Peranakan inspired collectables, prints, hand-painted tiffin carrier, kebaya, sarong, kerongsang, beaded shoes and souvenir. Loh’s passion for his roots and culture pushed him to perpetuate the skills of traditional Peranakan beading and embroidery that harmonises aesthetics, perfection, and cultural appreciation. Loh is passionate about the art since young, but life took him down a different path for ten years. He earned a master degree in Food Processing and Engineering and moved on to be a trained nutritionist before starting up Penang Nyonya Culture in 2015. As I ran my fingers through a white muka kasut, I know that creating a pair of bespoke kasut manik is no easy task. Threading and sewing the fine beads into intricate designs is a painstaking and time-consuming affair; one that requires a steady set of hands, excellent eyesight, and plenty of patience. "It takes one to three months to finish a muka kasut, depending on the design and the type of beads," Loh said. Kasut manik is suitable for joyous and sombre occasions. The Nyonyas slip into vibrant coloured kasut manik for Chinese New Year, Chap Goh Meh, weddings and birthday celebrations. Funerals demand dull coloured beads such as blue, white, and black with much simpler design. The price for a pair of muka kasut starts from RM280. After choosing a muka kasut, Loh directs his customer to a shoemaker* to customise the muka kasut into a fine pair of kasut manik that transcends time. Sometimes, Loh sends the muka kasut to the shoemaker himself upon request. Moving forward, Loh hopes to conserve and continue the Peranakan legacy by conducting muka kasut making workshops. 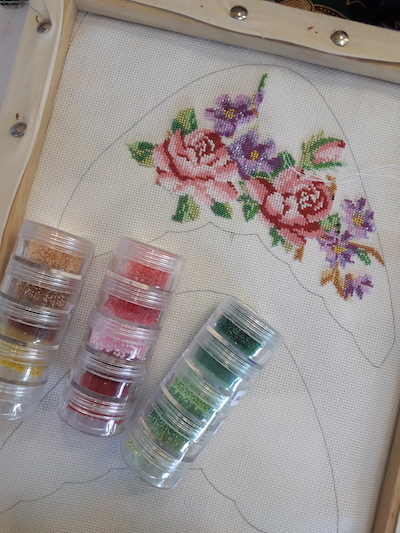 "Beading and embroidery is a dying art. Younger generations are not picking up this skill anymore. 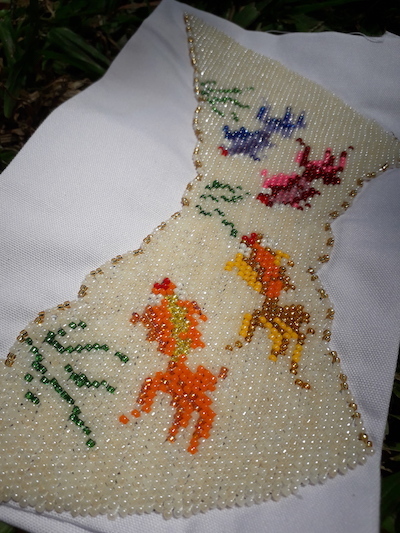 The older generations are still hand sewing beads and embroidery, but once they are gone, the art goes along with them." Find Penang Nyonya Culture at Hin Bus Depot Sunday Pop Up Market. 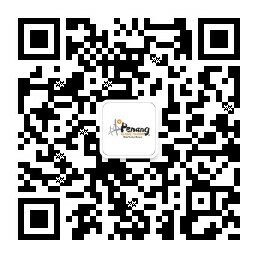 Penang Nyonya Culture can be contacted via email at penang.nyonya.culture@gmail.com or visit them on Facebook. *Hong Kong Shoe Store is located at 20 Kimberley Street, 10100 Penang, and can be contacted at +604 261 4695 or +6012 505 6905.